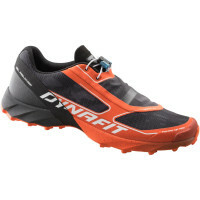 Get your DYNAFIT LIMIT.LESS Duffel Bag for free! 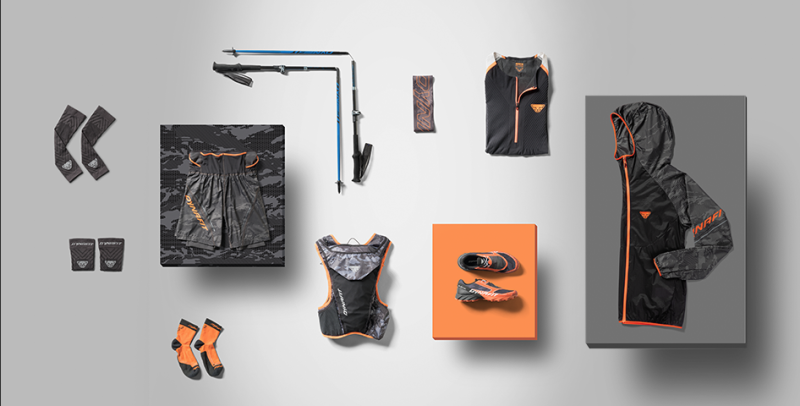 Order the complete DYNAFIT LIMIT.LESS head-to-toe set, and we’ll also send to you at no charge the exclusive LIMIT.LESS bag along with it. Das LIMIT.LESS. 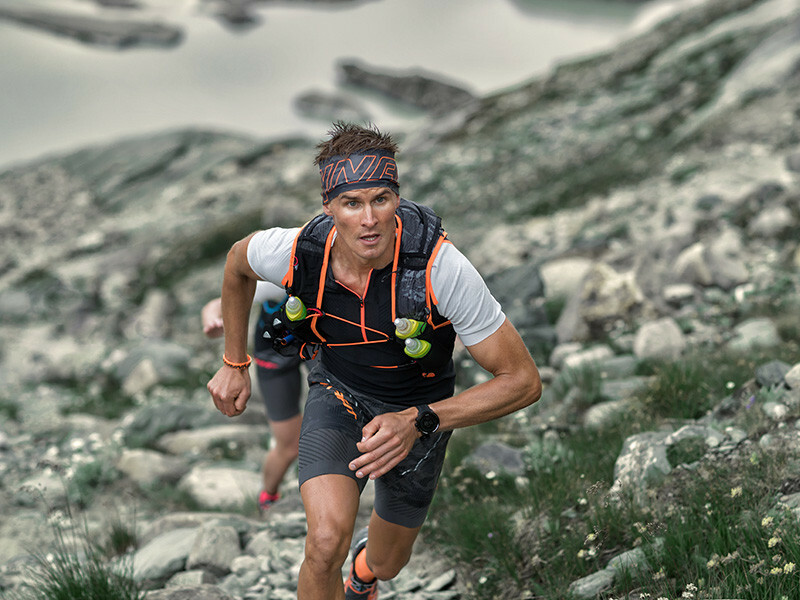 - Outfit besteht aus der Vertical Wind Jacke, der GLOCKNER 2in1 Shorts oder dem GLOCKNER ULTRA 2in1 Rock, dem ULTRA PRO 15 Liter Rucksack sowie dem FELINE UP PRO Trailrunning-Schuh für Herren oder dem ULTRA PRO Damen-Laufschuh. 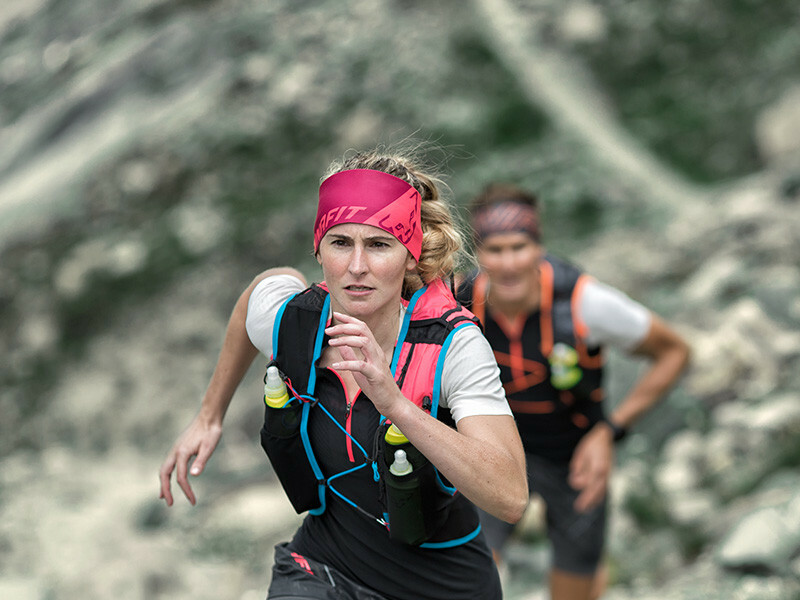 Das farblich passende Performance Dry 2.0 Stirnband rundet das stimmige Gesamtbild dieses Outfits ab. #SPEEDUP, nur solange der Vorrat reicht! Präzise, leicht und angriffslustig – diese Attribute beschreiben den reinrassigen Bergsprinter Feline Up Pro am treffendsten. Entwickelt für schnelle und steile Bergläufe, wird das Pro-Modell von Athleten auch gerne für mittlere bis lange Distanzen verwendet. What added value does this outfit provide? 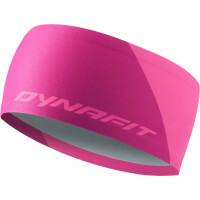 The individual parts of the DYNAFIT LIMIT.LESS. 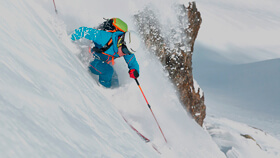 Outfits are perfectly coordinated and work best in combination on the mountain. 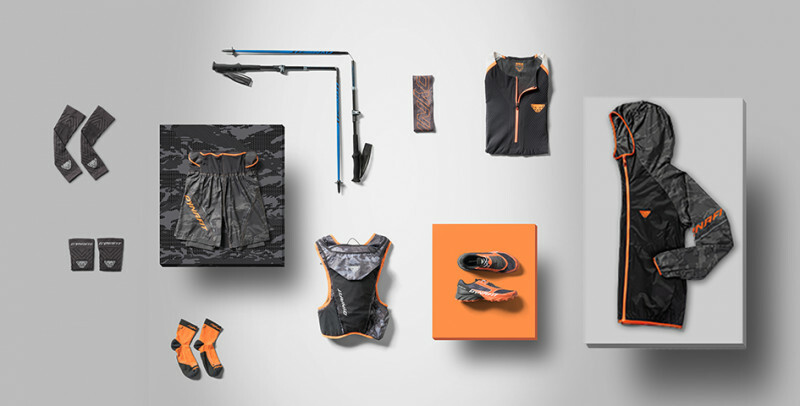 That’s exactly how much the complete DYNAFIT LIMIT.LESS clothing and gear kit . 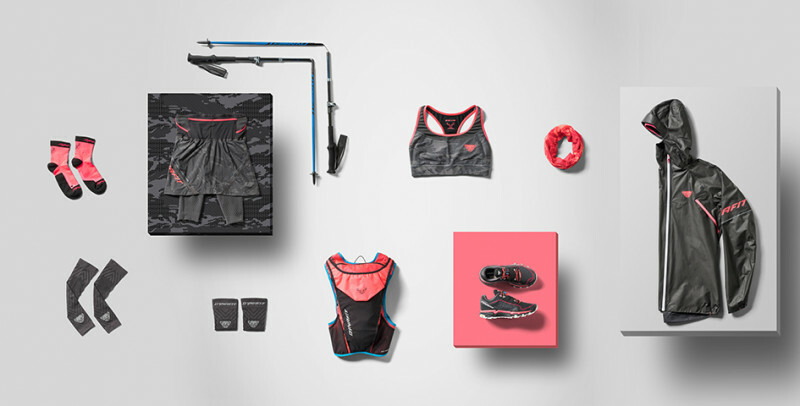 Hardshell jacket, running shorts for men and running skirt for women, running backpack, trail shoes and technical headband coordinate superbly with each other. And only in this way could we achieve the unbelievable weight of significantly under a kilogram. Schlepp less, run longer! 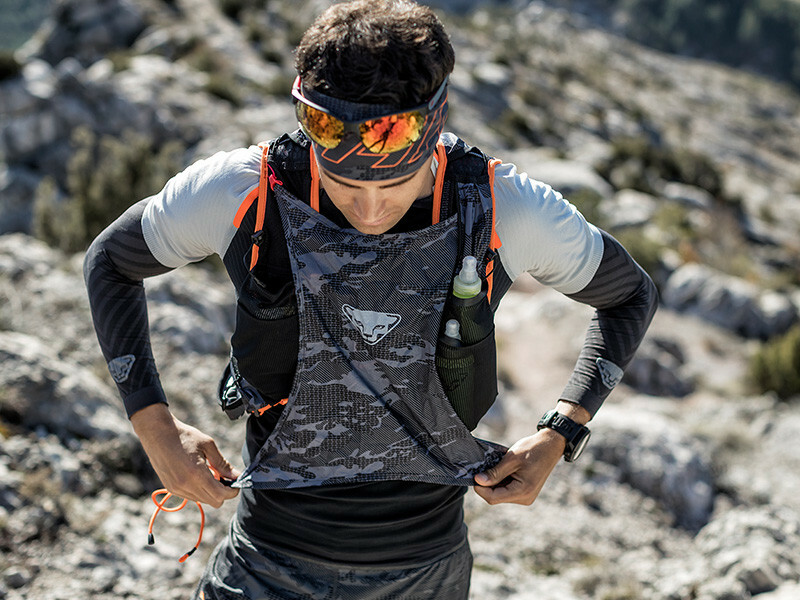 Light, durable fabrics and seamless workmanship transform the DYNAFIT LIMIT.LESS kit into a second skin that works with you on ultra runs rather than annoy you. 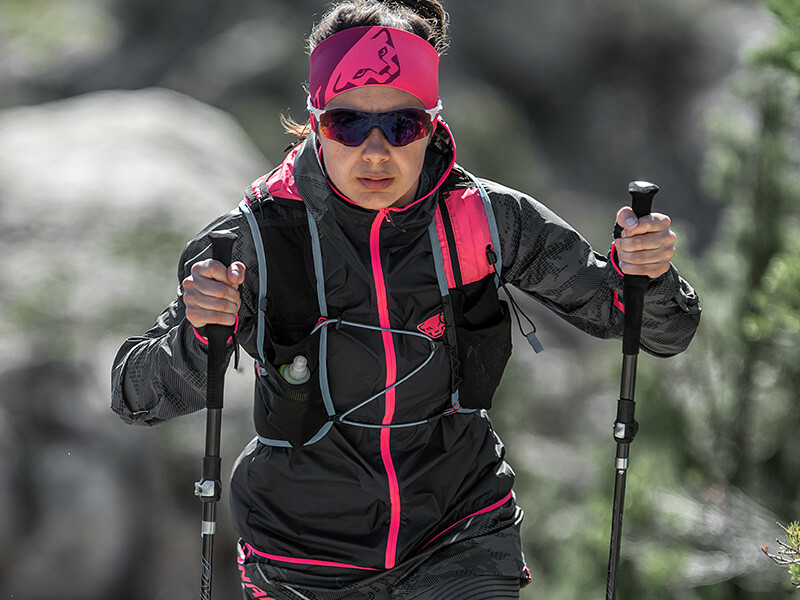 The complete set is meant to be a system: Pockets on the shorts and skirt are easily accessible, offer intelligent space for stowing stuff, and are coordinated with the jacket and pack to ensure everything is always at hand in the right place. 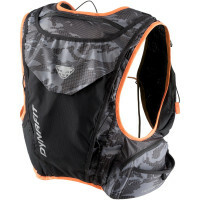 In addition, the pack has a “Protection Shield” that you can use as needed as protection from chill winds. It only takes a couple of quick motions to deploy. 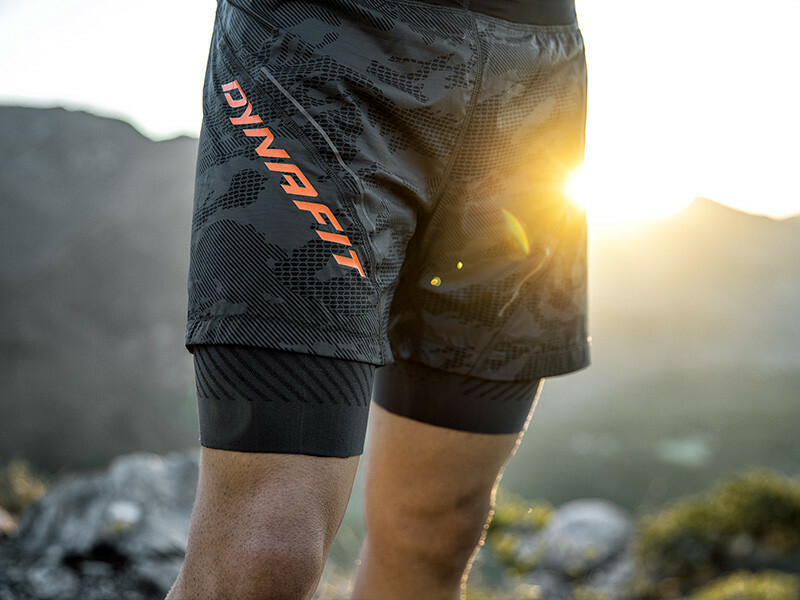 It’s not just the striking camouflage print that turns the DYNAFIT LIMIT.LESS set into a real statement, but all of the well-thought-out reflectivity ensures you are visible running in the dark, too. These visibility features are fashioned so you are easily seen from the front, back or the side. #SPEEDUP, only good as long as supplies last! - 230 grams light: Schlepp less up the mountain! 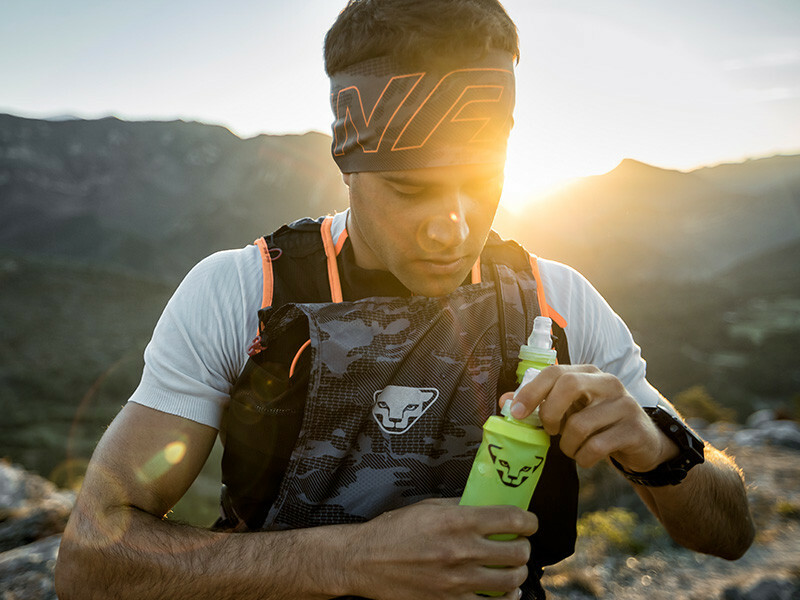 Are you ready for your next trail adventure? 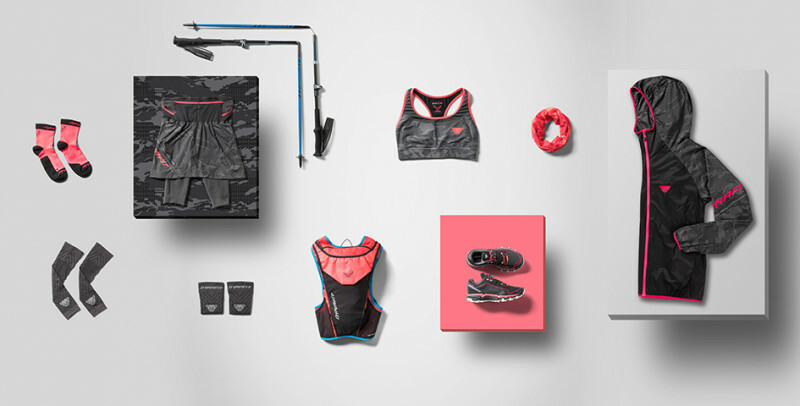 Discover the lightest trail running outfit on the market. Verpflegung - keine Experimente am Renntag! Essen & Getränke müssen am Wettkampftag erprobt sein. Wer dieses ungeschriebene Gesetz nicht beachtet wird im Wettkampf meist mit Magenproblemen zu kämpfen haben. In der Woche vor dem Wettkampf das Schlafpensum erhöhen. Im Schlaf regeneriert der Körper am effektivsten. Gerade in der Woche vor Deinem Wettkampf ist es wichtig nochmal richtig zu regenerieren. Runner´s Low – bei jedem Wettkampf gibt es mentale Tiefpunkte. Setze Dir Zwischenziele, denke an etwas Positives und mache Dir immer klar, den anderen Läufern geht es nicht anders. Cooling-down, langsames Auslaufen nach dem Wettkampf fördert die Regeneration. Kaltbäder oder wechselwarmes Duschen lockert und erfrischt die Beine. Natriumreiche Getränke und Nahrung mit hohem Kohlenhydratanteil sind wichtig für eine schnelle und gute Regeneration. 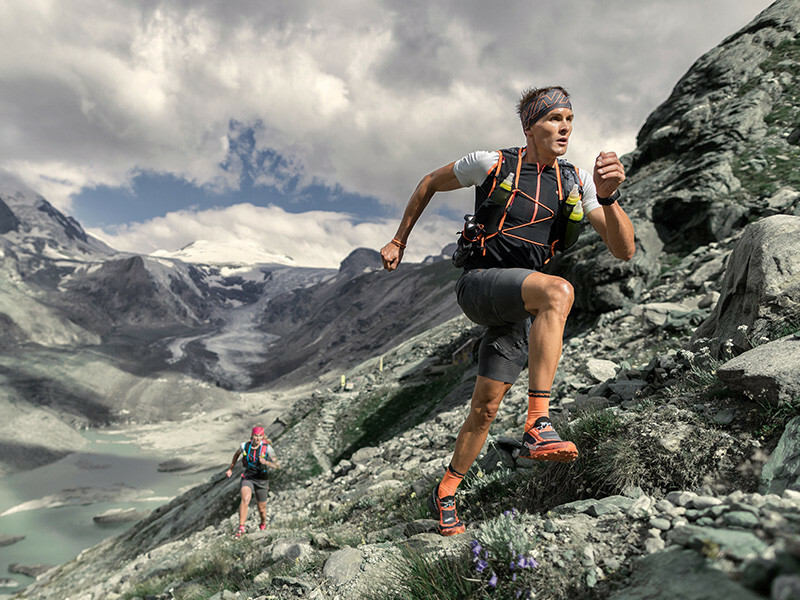 Ultra Running – läuft man mehr als 42,195 Kilometer, die Distanz eines klassischen Marathons, dann wird von einem Ultra-Marathon gesprochen. 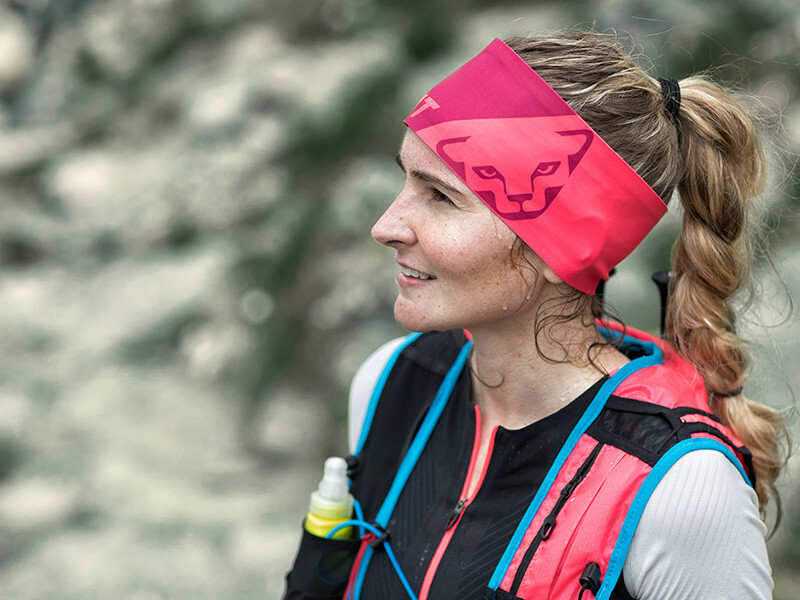 Doch wie findet man als „normaler“ Trail- und Bergläufer den Weg zum Ultra Running? Wie sieht das Training dafür aus? 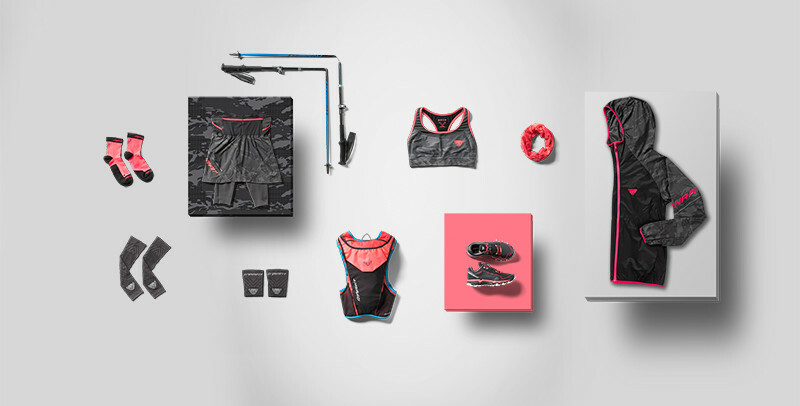 Und welche Schuhe und Bekleidung eignen sich für einen Ultra? Diese Fragen und viele mehr beschäftigen Dich? 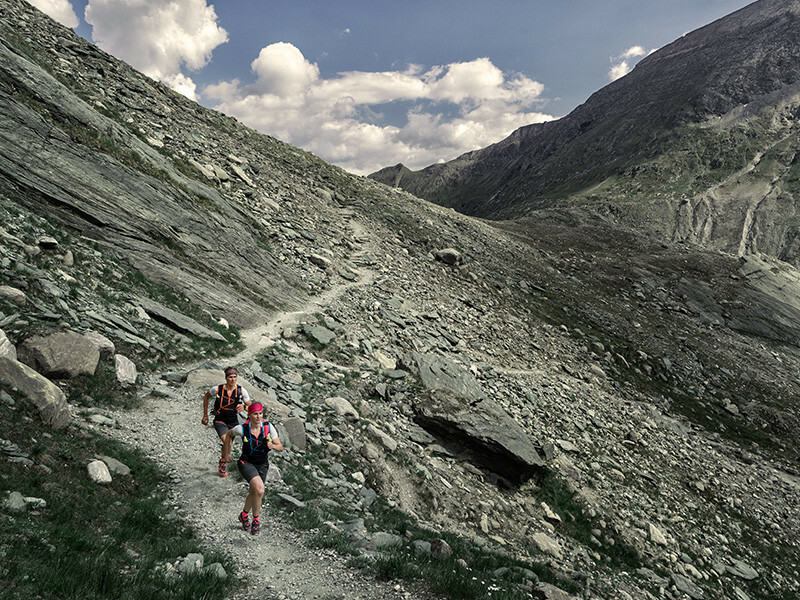 Dann werde gemeinsam mit uns zum Ultra Runner. Schritt für Schritt begleiten wir Dich auf Deinem Weg zum ersten Ultra Marathon. Food and beverages – No experiments on race day! Food & drinks used on race day must have been tested and proved. Those who do not pay heed to this unwritten rule will usually be the ones in the race fighting stomach problems. In the week prior to the race, increase your sleep quota. The body regenerates most effectively during sleep. And precisely in the week prior to your race it is essential to regenerate really well. Runner’s low – In every race there is a mental low point. Set intermediate goals, think positively, and always realize that the other runners are experiencing the same thing. A cool down and slow jog after the race promote recovery. Cold-water baths or contrast showers (warm and cold, alternating) loosen and refresh the legs. Sodium-rich beverages and foods high in carbohydrates are important for a good, quick recovery.